As you get your wholesale contact lenses ordered, you want to make sure that you consider these great soaking cases as well. 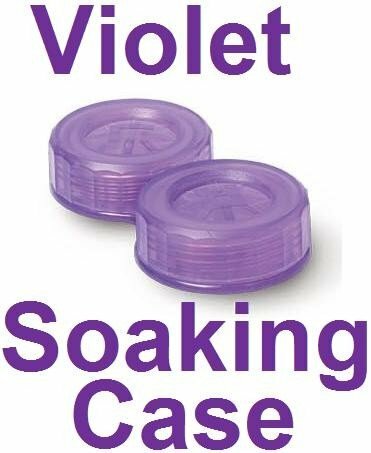 The violet translucent style case is a stylish contact lens case that your customers can get great fun and use out of. Keeping their contact lenses purchased from you as safe as possible, they will appreciate your attention to their needs.